Getting fashion tips from Lauryn feels like chatting with your best friend. Totally stylish and super fun, her love of testing new trends through unexpected pattern pairings and pops of color makes her the perfect person to show us Salt Lake City style. There’s something sunny in the Salt Lake City air, from its snow-capped peaks to its sparkling city center. Whether you’re hitting the slopes or hanging downtown, you’ll be inspired by the scene around you — wanting your look rise to the heights of this mountain-meets-city style scape. In partnership with Walmart, we’re traveling across the country to see how different cities put their stamp on the new Time And Tru and Terra & Sky lines. We touched base with Lauryn Hock, a Salt Lake City style expert, to help three local women test the collections on their turf. We're two cities into the Style Squad tour, and with four more to go, here’s how Salt Lake City made the collections their own. Hock wears a Time And Tru dress, shoes, and accessories. Salt Lake City's local murals inspire Hock's style every day, too. "I've noticed there's a lot of pink and blue," which definitely plays into the hues Hock gravitates towards, she says — like this blue peasant dress. It's an effortless piece for shopping or work (Hock is a high school teacher). Furrow wears Terra & Sky dress and Time And Tru shoes and accessories. For Furrow, finding an easy, low-key look takes priority when getting dressed. "Comfort is first and foremost," she says. "Functionality!" Her look has to be no-fuss and easy to put on, whether she's headed to the office or grabbing fresh fruit and veggies from the farmer's market. But finding a look that's current plays a major part, too. Hock kept this in mind when styling the look, especially when it came to the bold patterned dress. "That dress is really cute — love the print of it," she says. "It's really 'spring' and giving festival vibes, so I went with the braided shoes: The boho vibe." Michalko wears a Time And Tru top, jeans, shoes, and accessories. Bennett wears Terra & Sky top, jeans, and Time And Tru shoes and accessories. “I love trends,” Bennett says, “but at the same time, I need to feel that I’m comfortable in what I’m wearing, and that it suits how I’m feeling.” Versatility is crucial as well, she says, in case work is followed by an on-the-fly casting. Taking note, Hock chose relaxed pieces that still make a statement. “We put her in white jeans,” she says, “because I think people are afraid of those, and we want to show anyone can wear white jeans.” Plus, a white denim pairs well with nearly anything. 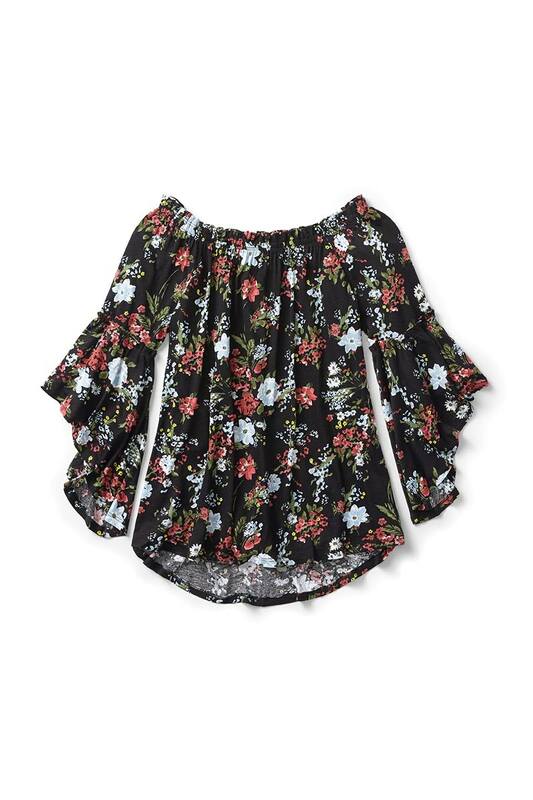 Lauryn pairs this off-the-shoulder top with dark wash skinny jeans — perfect for her local farmers market. 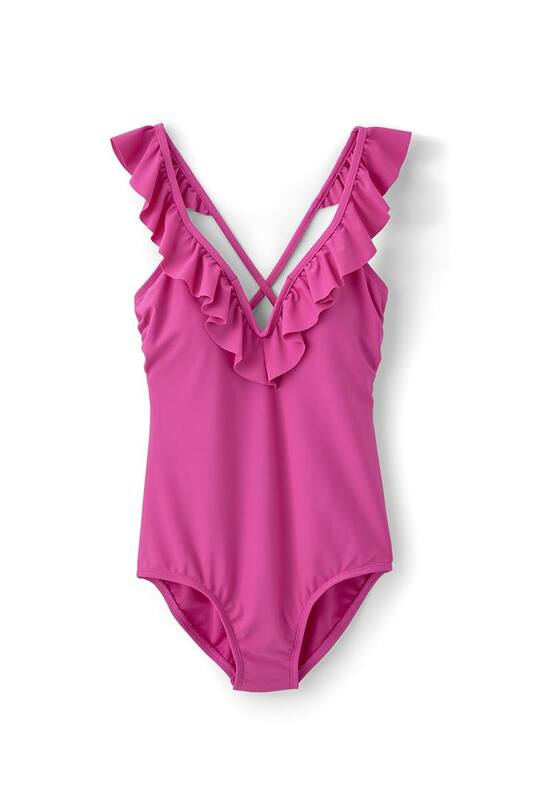 Topped with sunglasses and a sunhat, the ruffled swimsuit is Lauryn’s go-to look for the beach or lake. 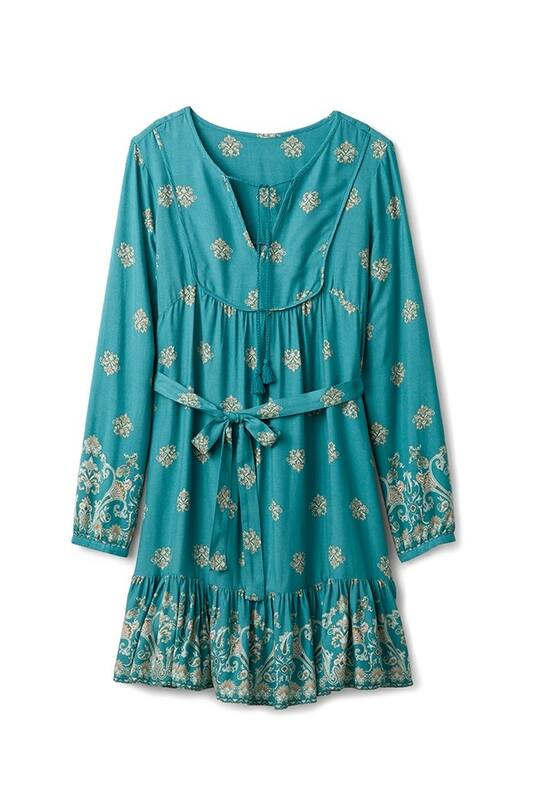 Paired with summer sandals, the boho feel of this dress sets a comfy-cool tone for a weekend staycation. 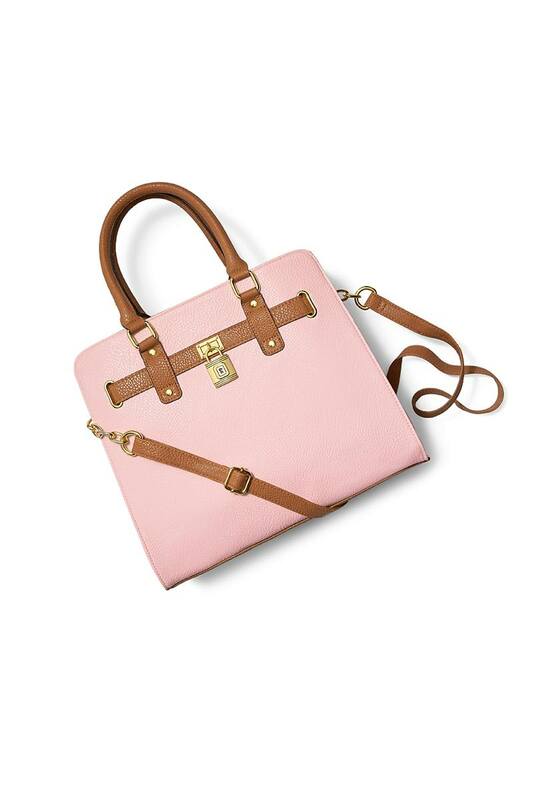 A surprisingly versatile pink hue makes this bag an easy match for everyday looks. Perfect for a trip to the movies, work, or out with friends. 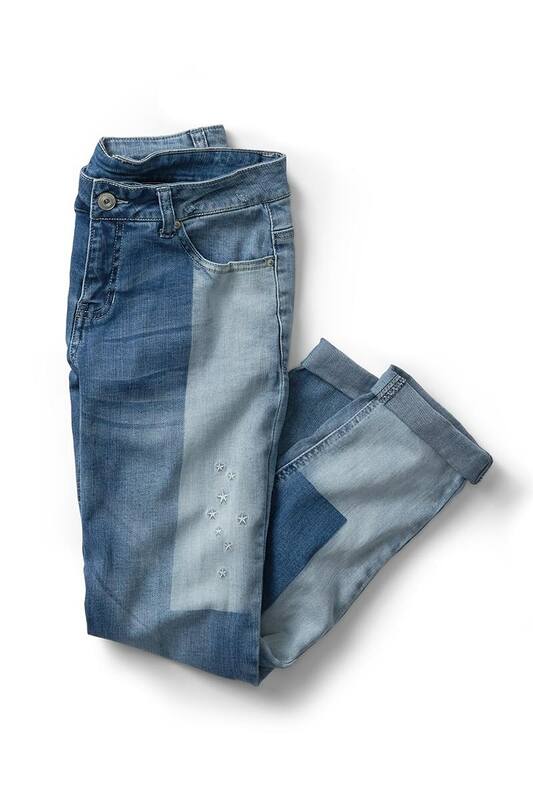 This denim is all about the details. Lauryn would pair these with a classic white tee for an effortlessly cool look for a weekend sporting event.